Whether you travel to Patagonia in spring, summer or fall, each season has its particular attractiveness. Mt. Fitz Roy, a mountain located near El Chaltén village, in the Southern Patagonian Ice Field in Patagonia, on the border between Argentina and Chile. Weather in Patagonia is really unpredictable with several distinct climatic regions with wide extremes of temperature, sunlight and rainfall. Travelers should come well prepared for all weather conditions regardless of when you choose to travel. The information below is a general description of what the weather is like depending according to each zone. In this zone western winds predominate and, on the coast there are frequent sea storms. The air is very dry, rains reach up to 10 inches (250 annual millimeters) and there is no snow. The temperature of the marine waters is pleasant, since the temperature of the marine waters is pleasant, since the coasts are bathed by the southern end of the warm current of Brazil. Climate can be described as that of an arid plateau. Rainfall ranges from 8 to 12 inches (200 to 300 annual millimeters), with no presence of snow. The winds from the west and the south are almost constant. The temperature of the marine water is very cold. Here the sea and the mountains help to moderate the climate. In the zone of River Grande the winds from the west blow at an average speed of 15.5 mph (25 km/h) with blasts of up to 124 mph (200 km/h), with few periods of calm. In Ushuaia. the southwestern wind predominates, at 37 mph (59 km/h) average speed with blasts of up to 62 mph (100 km/h), but with longer calm periods. Near the Beagle Channel cloudy skies are common. The climate goes from very humid in the mountain range to humid in the beginning of the plateau. Rains get stronger towards the west, and with abundant presence of snow in winter. It is a zone of pre-mountain and mountain ranges with presence of rain becoming more and more abundant. In winter, there is a lot of snow and the mountain ranges helps to moderate the winds. Perito Moreno Glacier is a major tourist attraction in Patagonia. 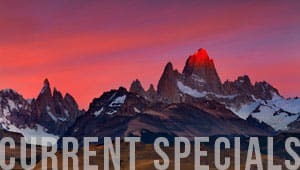 The Best Time to Travel to Patagonia? It is said that the best time to visit Patagonia is during summer months of December to February but you can travel in many areas of northern Chile and Argentina throughout the year. The main season is in October-March when average daytime ranges from 65°F in the sun to the low 40°s. We highly recommend to visit Patagonia during summer (December to March), since it is the warmest time of year, of course, with average high temperatures of around 15°C but in this time infamous winds are at their strongest and can reach over 120 miles an hour. Visiting Patagonia during these months will reward you with the best weather. Although in summer you'll compete with heavy crowds during this peak season. The months preceding and following the summertime has its own attractiveness. Fall rewards travelers with the most beautiful colors as trees begin to shed their leaves for the upcoming winter season, but the winds while still potentially wild - tend to be less severe. It is a pleasant time to go photographing wildlife and landscapes and marvel on the Patagonia's changing plant life. Winds are not as strong as they are in the spring, and both hotel rates and summer crowds begin to wane. Daily highs fall into the 40's and 50's, making comfortable conditions for exploration. In this season you will find more snow throughout the region but you will be amazed to see both national parks and glaciers covered with snow. Temperatures drop dramatically, freezing rainfall is frequent and unpredictable, and most attractions close for the winter. Although some of Patagonia's most popular hiking trails and multi-day treks are inaccessible in winter, many people consider that winter is one of the most picturesque times of year for a Patagonia day hike, so you won't want to miss it. During this season, spring welcomes you with colorful blooms. Temperatures start to pick up again and the days start getting longer. Biting winds and the occasional overcast sky can make it awfully chilly. If you can handle the cool temperatures, you'll beat the flood of tourists (and pricey accommodation costs) of peak summer months. Remember to pack layers and a sturdy windbreaker to shield yourself from chilly year-round winds!! Shop Patagonia Gear with Quasar! 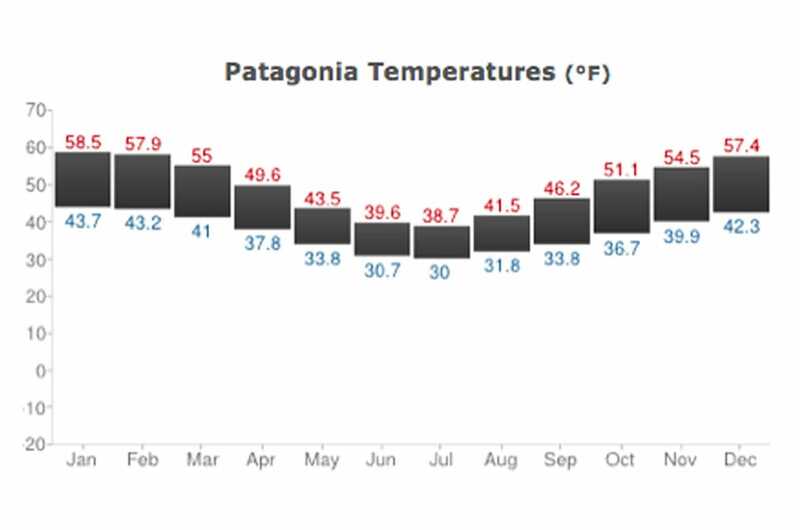 For more information on Patagonia weather, click here Patagonia Weather. 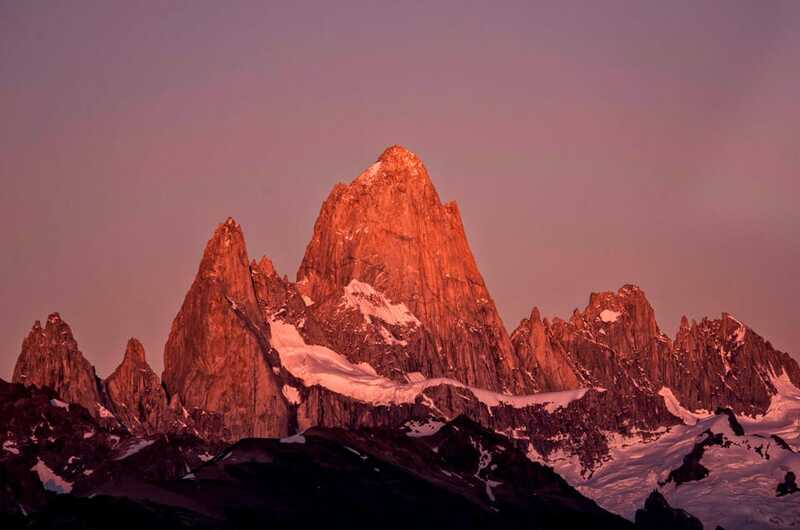 Mr. Schicke,I’m planning a trip to Patagonia in a few years. One of my goals is to arrive at the Faro Cabo San Diego. I’m looking through Google Earth and it appears no vehicles have access this lighthouse as I don’t see a path to it. What other ways are there to reach the lighthouse. Can you tell me anything about the terrain, somewhere to access maps of this area? Hi there Robert! Faro Cabo San Diego, also known as the Lighthouse of the False Cape (Cape Horn) is located on the very tip of Southern Argentina, in the Island of Tierra del Fuego. There are no roads to access this lighthouse, and it can only be reached by boat. Unfortunately, it is also not a touristy destination, which is why there are no regular organized tours to visit the lighthouse form nearby Ushuaia. To visit the lighthouse you would have to arrange for a private boat to take you from the port city of Ushuaia, and I can imagine it could be quite costly! Please let us know how your adventure develops!